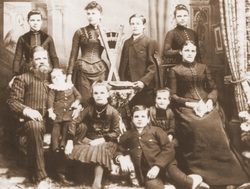 This GENEALOGY RESEARCH PACKAGE is perfect for anyone who has an interest in their family tree and really wants to find out more about where they came from. plus a BONUS of 2 SIZES of print-ready PDF files for your custom Family Tree Fan/Circle. Your PDF files can be saved to any portable data storage device [such as a USB flash drive] and taken to any print or copy center near you so that you can reproduce AS MANY prints as you'd like on any type of surface, in any way ~ you have full control over how you use them. 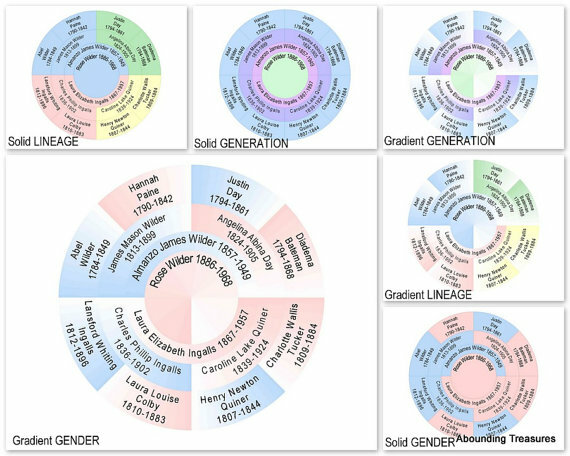 YOUR Family Tree Circle will be custom designed in your chosen STYLE from the samples, with the beginning person's name in the center and their parents' + joint ancestors' names, years of birth + death branching out in a CIRCLE showing up to 6 generations at a glance. ★ PLEASE NOTE that all dates are for the YEARS only in ALL custom Family Tree Circles. ★ Available STYLES are listed in the collage of samples. ★ Custom coloured styles are also available ~ please contact me.